The weather is rotten and your players have blisters from hitting in the tunnel so much, lol. You are thinking about cancelling tomorrow’s practice because you have nothing for the players to do inside besides more soft toss. Don’t do it. Instead, it is time for some indoor baseball drills. The baseball drills that you can do inside obviously depend on how much room you have. So let’s talk about where you practice. 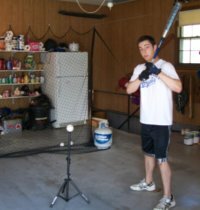 Many cities, especially those that have snow and cold weather in the winter, have indoor facilities that rent space just for baseball practice. If one is available and in your budget then you are set. But if that is not the case, don’t fret. 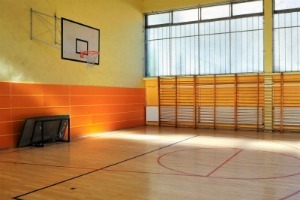 Gyms, like church or school gyms can be used without causing any damage. If the facility manager is worried about damage to the floor or other areas from baseballs, consider using tee balls or tennis balls. A soft type of ball will usually get you approved to use a gym. Just stick to your agreement and only use soft balls for indoor baseball drills. OK, you found a gym and you have some tee balls, now what? Well, your coaching skills are about to really be tested here. This may be the hardest part of coaching, besides choosing who has to sit out in a game. Baseball drills and gyms are not made for each other. But here is the deal. If your future opponents are not practicing and are sitting at home, your team is getting a leg up on them. If other teams are also practicing inside, your team is at least keeping up with them. Your team needs these practices, and they will only be helpful if you make a good plan. Before we start talking about indoor baseball drills, let’s discuss your practice plan. Kids (and adults) get bored a lot faster indoors than outdoors. So try to limit their idle time as much as possible. That means having as many different stations as possible. Recruit parents to help you out. Usually if you ask a parent to help they will. So don’t be shy about asking. And any type of competition helps indoor baseball drills go by faster. For instance, break your team up into three groups and have three different stations. Start each group with a different station. When it comes time to have the groups rotate stations, first have the groups run a relay race. This will wake them up and get them ready for the next station. 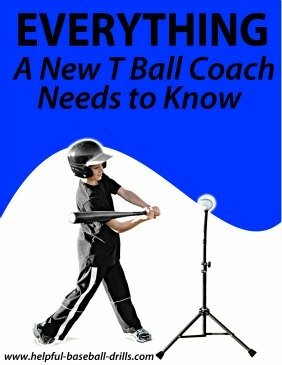 Now it is time to talk indoor baseball drills. There are three types of drills that work well inside: throwing, fielding and agility. And there are many different drills for each one of these types. Let’s start with throwing. In fact, your practice, after initial stretching, should start with throwing. Even though you are doing indoor baseball drills, the players still need to warm up their muscles, and then their arms. quickly point out any flaws in throwing mechanics. Watch to make sure their arms are up above their shoulders and that they have a good follow through. Accuracy has to also be good when throwing from one knee. Be sure they are looking and pointing their shoulder at the person they are playing catch with. Bad body alignment is hard to overcome. Now have the players stand up. It is time to try the “Point Game”. The “Point Game” along with a couple of other throwing drills is the second drill described in the article Baseball Throwing Drills. In fact, if you are not too cramped for space, you may be able to do the other three drills in that article and also these two articles: Team Throwing and Hot Box Drills, and Relay Throws and the Cutoff Man. Now let’s move on to fielding. 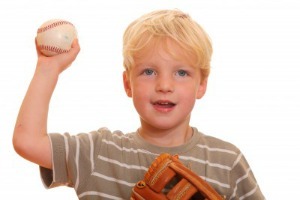 One of the best indoor baseball drills is bare hand fielding. It’s a pretty simple drill where you hit ground balls (tee balls or tennis balls) to your players and they are not wearing their gloves. The main point of this drill is to teach them to use both hands when fielding. And with the floor being smooth, there will be no bad hops. This helps build confidence in young players. Using a soft ball on a smooth floor should eliminate any fear of a ground ball. Really use this opportunity to teach the fielders to get in directly in front of the ground ball. No fielding from the side. 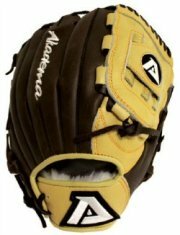 Some coaches go and buy the flat paddle for their players to wear on their glove hand. This can help but is not necessary. You can also add a first baseman into this drill. Once they field the ground ball, have them throw to first. If room allows, even add a runner going from home to first into the mix. Now you have a full blown drill. Using a fielder, a first baseman and a runner you have three players involved in this drill. Rotating other players at the fielding and running positions you can five or seven players staying active with this drill. And again, if room allows, you can do all of the drills from the article Baseball Infield Drills. Some of these are great indoor baseball drills. And the last type of the indoor baseball drills we will talk about is agility drills. There should be very little problem doing agility drills indoors. All you need is some running room and maybe a few cones. The off season is a great time to have regularly scheduled agility training. Set up a weekly schedule and you will have more players participating. One of my favorite indoor baseball drills for agility is called the four corner drill. All you need is about a sixty square foot area (not very big) and four cones or other markers. Place the cones in a square about fifteen feet apart. The player starts this drill on the far right side of the square, beside the bottom cone. He runs pass the cone in front of him, then takes two lateral steps to his left. Now he should be in the middle of the top cones. 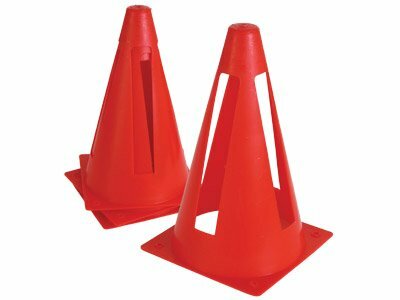 With his back to the cones, he now runs backwards pass the two bottom cones. He laterally side steps to the left and runs on the outside of the cones, going pass the top left cone. He goes around the cone and diagonally runs back to the starting point. In the beginning just do one or two reps at a time, then work up to five or six by the end of the winter. And you can spread the cones out farther apart. Also, try different variations of front and backward running. This drill will increase foot speed and fielding agility. To find some other great agility drills be sure to check this article, Baseball Training Drills. Another great article to read is this article that discusses sharing the cost of a personal trainer, Training for Baseball. A raining day or the cold and snow of winter doesn’t have to mean that baseball players sit around and eat bons-bons. Instead find an a gym and do some indoor drills.